Gently apply a thin layer over the entire affected area. For optimum results, follow with AQ Active Serum or AQ Eye Serum for at home use. 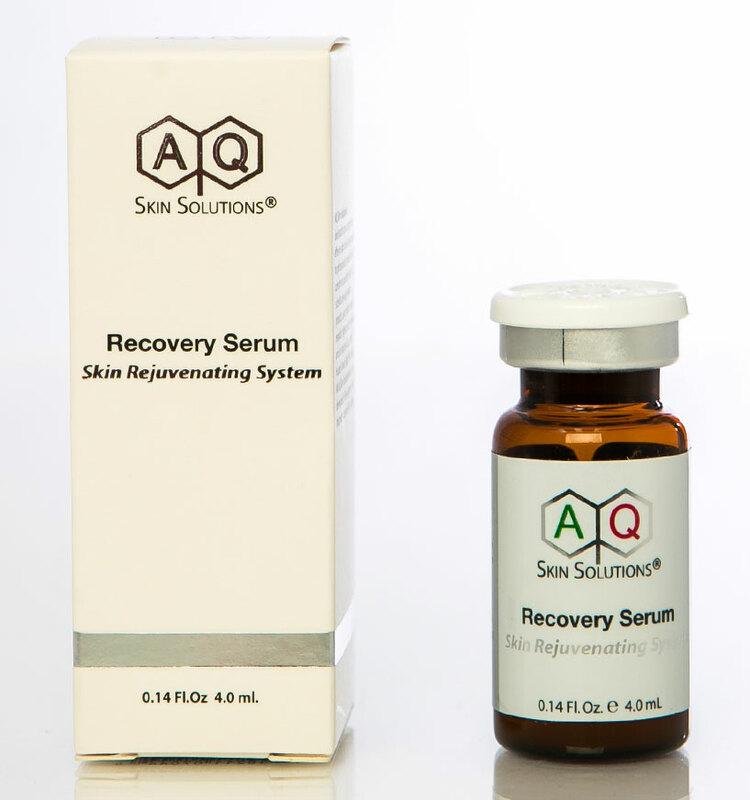 AQ Recovery Serum dramatically improves the appearance of aging, damaged, and post-procedure skin by stimulating collagen production. The soothing formula helps repair damaged cells, relieve irritation from bruising after cosmetic procedures, reduces the appearance of broken capillaries, and greatly decreases post-procedure redness. It is excellent for use after clinical skin procedures to shorten downtime, speed healing, and improve end results. This nourishing serum also helps to diminish the appearance of rosacea, soothe skin traumas associated with first-degree burns, and reduce post-procedural discomfort associated with chemical peels, surgery, and laser treatments. Pure, non-greasy Recovery Serum will not clog pores, or irritate sensitive skin, and has a fresh, clean fragrance.